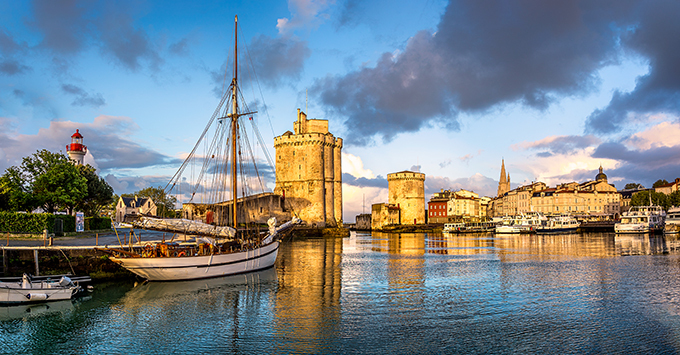 (12:15 p.m. EDT) -- From a quaint fishing village in the South of France to the vibrant Ho Chi Minh City, luxury line Regent Seven Seas Cruises will take passengers even more off the beaten path in 2020 and 2021. The newly revealed itineraries include 11 "first for the line" ports of call throughout Europe, Asia and the Americas, as well as the most overnight stays ever offered by the line. Other new ports include Stornoway, Scotland; Aalborg, Denmark; Lecce (Otranto), Italy; and Cabo Frio, Brazil. In addition, 21 of the itineraries will offer two- to three-night pre- and post-cruise packages in destinations like Buenos Aires, Lima, Cape Town, Singapore, Hong Kong, Dubai, Bali and Auckland. Pre- and post-cruise packages are included in Regent's cruise fare, as are several other perks such as airfare, shore excursions, transfers, prepaid gratuities, unlimited beverages (including fine wine and premium spirits) and specialty restaurants. "This new season is about destinations and explorations that excite and inspire our guests," said Jason Montague, Regent Seven Seas Cruises’ president and chief executive officer. "For example, our guests may experience the Tasmanian Wilderness out of Burnie in Australia, the Etruscan Necropolises in Tarquinia in Italy, the Nazca Lines in Peru via an overflight, and the Old City of Acre from Haifa, Israel." Like Regent's recently announced 2021 World Cruise, the line's new itineraries offer ample opportunities to witness UNESCO World Heritage Sites -- with a total of 352 sites, including the City of Rhodes and the painted churches in Cyprus' Troodos Region. Four "Grand Voyages" also will take passengers on in-depth journeys through specific regions. Among them are a 91-night Grand Arctic Discovery, a 68-night Grand Cape Horn Adventure, a 76-night Grand Spice Route Quest that includes stops throughout the Middle East and Southeast Asia, and a 61-night Grand Asia Exploration. Regent's 2020-2021 season opens for bookings on Wednesday, August 15, 2018.